UNICEF Yemen is reporting stunting rates among children at 71.4 percent in the Rayma governorate of central Yemen. Children who are stunted by lack of nutrition fail to reach expected height and weight for their age. Another UNICEF survey revealed global acute malnutrition rates among children in the Lahj governorate of southern Yemen at 23 percent. Children who suffer this malnutrition have lasting physical and mental damage unless they are treated. Child malnutrition is severe throughout Yemen. UNICEF says, “967,000 children suffer from acute malnutrition. In certain areas of the country, the acute malnutrition rate exceeds 30 per cent, twice the emergency threshold.” Until this crisis is alleviated Yemen will not be able to gain stability for its future. The question is, what action can be taken? 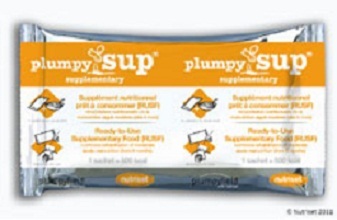 A full supply of supplementary plumpy (plumpy’sup) food for all needy children in Yemen would provide the nation with a break from the malnutrition storm. Supplementary plumpy, and plumpy’doz, are peanut pastes designed to keep children from falling into the most severe levels of malnutrition. When children reach the most desperate stage of malnutrition they are generally fed life-saving plumpy’nut. Yemen needs a supply of plumpy’nut too to treat the most severe malnutrition cases. But if the rest of the child population at risk of malnutrition can be reached with supplementary plumpy you can prevent this last resort. Dr. Wisam Al-timimi of UNICEF Yemen says, “Supplementary plumpy is the 1st stage to treat the moderate cases of acute malnutrition (MAM).” UNICEF is teaming with the UN World Food Programme to increase coverage of supplementary plumpy and plumpy’doz for children under two years of age. Funding, though, will be an obstacle, as donations are needed so UNICEF, WFP, and other aid agencies can get the necessary supplies. These agencies rely completely on voluntary donations which are often hard to get even though food aid is relatively inexpensive. Both WFP and UNICEF are limited in plumpy supply due to funding constraints. As of last month UNICEF Yemen only had 30 percent of the funding it needed for a $24 million program to fight child malnutrition. With extra funding they would increase the defenses against child malnutrition. Support from governments and the public would go a long way toward stabilizing the country and preventing a generation of children from being damaged from malnutrition in the first thousand days of life. The public can also contact the UN World Food Programme and ask about direct donation to their operation in Yemen. Governments can work with UNICEF and WFP and provide donations to make sure they have the resources on the ground to help all the children in Yemen. Article first published as Special Food Can Save Malnourished Children in Yemen on Blogcritics.